Both Neuschwanstein and Hohenschwangau castles sit high in the mountains over the village of Hohenschwangau in Southern Bavaria near the Austrian border. Neuschwanstein is also known by the rest of the world as the Disney Sleeping Beauty castle. Look familiar? Designed by and built for “Mad” King Ludwig II in the 1880s, the castle was partly to serve as his personal refuge, and partly in honour of composer Richard Wagner. Wagner was a cowardly anti-Semitic jerk who wrote pamphlets under a fake name to spread his hate. Though he died decades before Hitler came into power, the Nazi party praised him for the writings he left behind. They adopted Wagner’s music and played it often, during marches, war, and unspeakable acts of terror and murder against the Jews and other minorities in Europe. You know the story, now imagine this song amplified in the background. Mad King Ludwig could not have possibly known this would happen, as Wagner died before him, and both died in the 1880s. He was a gracious patron to his favourite non-lyrical musician, and for that I can forgive King Ludwig. What made Ludwig “mad” is that he was an eccentric who seemed to have little self-discipline when it came to his (rather, his kingdom’s) finances. There were rumours of homosexuality, and there were illusions of grandeur, expensive tastes, and other habits the royal family disapproved of. 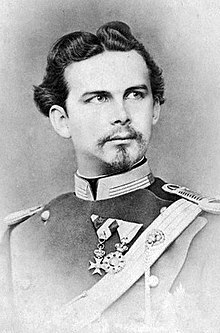 With the assistance of a hired psychiatrist, the family declared him unfit to rule and forcefully dethroned Ludwig in July of 1886, three days before his death. On the day he died, he had gone for a walk with the psychiatrist who had been evaluating him. Their bodies were found in the water hours later. Both were declared victims of drowning but no water was found in the lungs of Ludwig, who was a notoriously excellent swimmer. The case was never truly solved. Ludwig was only 40. Those were my thoughts as we left Munich and drove through Murnau am Staffelsee, Steingaden, and many other towns before reaching Schwangau. I recorded a couple lazy videos of the trip. We drove alongside the Alpsee and Schwansee as the Bavarian Alps, the Eastern part of the range, came into view. In less than two hours, we had reached Schwangau. Bavaria is my favourite place in the world, my second home, and had I been alone on this trip I would have stopped in each town along the way. There was so much to see, but we were on a schedule. This beautiful church framed by a few barren trees against the distant Alps is one of my favourite visions of the trip. We reached the Schwangau village and its countless guest houses, lodges, restaurants, and souvenir shops. There was a comedic situation with a group of Greeks who insisted they knew we were famous and asked several times to take photos of and with us. We are both well-known in some parts of the world, but could it be? Hohenschwangau is the first castle, nearer to the ground. Crowds were clamouring around trying to hire carriages or designated cars up the mountain but we kept on. It took about 20-30 minutes to climb to the top from the parking lot. The ground was slippery and I was so excited to get up the mountain that I was sliding around and out of breath. Hohenschwangau was built by Ludwig’s father, King Maximillian II in the early 1800s. You can read more about the Neuschwanstein castle here. After descending the mountain, we went to a nearby Greek restaurant called Poseidon. The German restaurants were all packed, and no further sign of our Greek friends, unfortunately. I ordered Gyros Pfanne (skillet gyro), a dish rather similar in taste and ingredients to Hungarian paprikash. My friend ordered lamb and we shared some Florini (cheese-filled roasted red peppers). The owners were very sweet and sent me out the door with a shot of Ouzo. I felt sad as we drove away. I wanted to stay here forever, which seems to be the very nature of fairy tales.